This dress oozes elegance. It would be perfect to wear to a wedding or communion or confirmation. The asymmetrical neckline is so simple and adds a lovely design feature to the dress. The colour is a gorgeous rich coral colour. 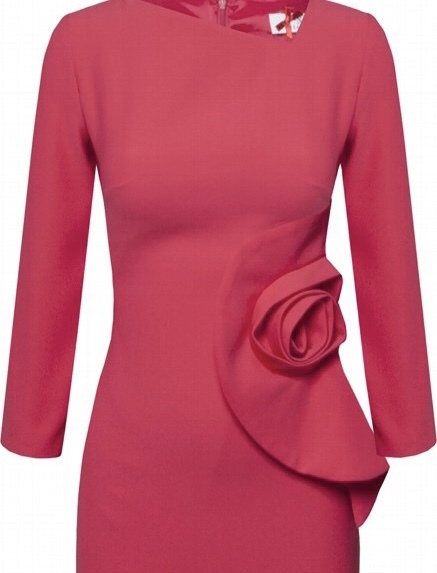 The rose detail takes the focus on this dress and camouflages the tummy area is such a chic way.